In a small bowl, whisk together Bisquick, buttermilk, melted butter, and 1 teaspoon vanilla paste. 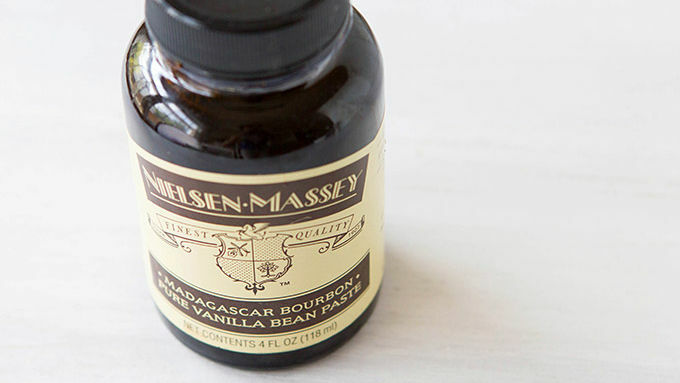 Vanilla paste can be found at specialty retailers. It contains seeds from the vanilla beans for a richer flavor. Regular vanilla extract can be substituted for the vanilla paste if desired. 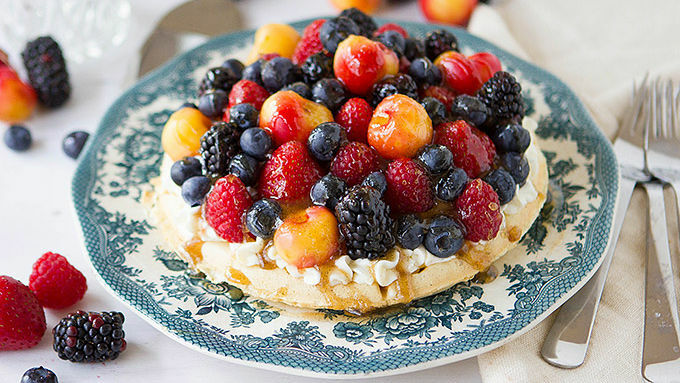 Kick up your morning waffles a few notches with color and immense taste! I’ve admittedly been on a kick lately. Not for fresh summertime tomatoes, though they grow in abundance in the backyard garden. Not for mounds of zucchini, though there’s a heaven-help-us-all bounty of the stuff all around my house. Not for sparkling water or minty mojitos or street tacos tossed on the grill. Nope. Instead, I’ve gone and fallen head-over-cravings in love with… …waffles. That classic, mid-winter breakfast comfort food is all I can think about nowadays. It’s a problem. A delicious problem. 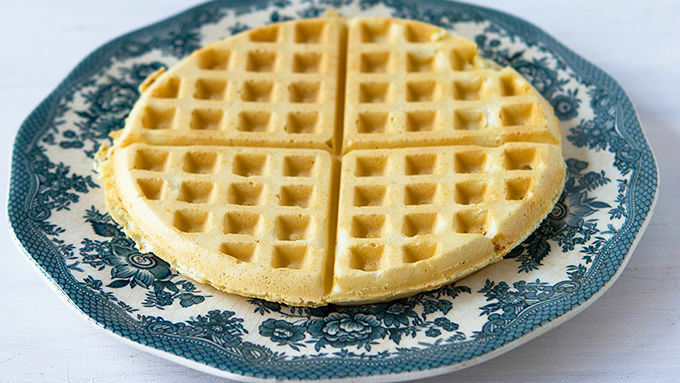 Because, once you start craving waffles for breakfast, snack time, and every time in between, you suddenly realize just how many ways there are to top them, serve them, and otherwise live on them as a general meal source. And this may be the best way yet! 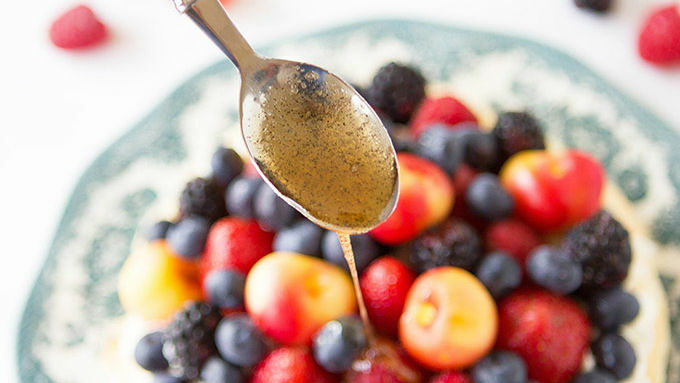 The pure perfection of this recipe starts here: With vanilla bean paste. It’s a syrup-like concoction infused with pure vanilla, including the seeds from the pod! No more cracking a big, brown bean apart, getting ‘nilla seeds all over everywhere but where you need them. Nay way. A bottle of vanilla paste delivers all the goodness of a vanilla bean with the ease of twisting a lid and spooning into happy simplicity. Fork and knives, ladies and gents. 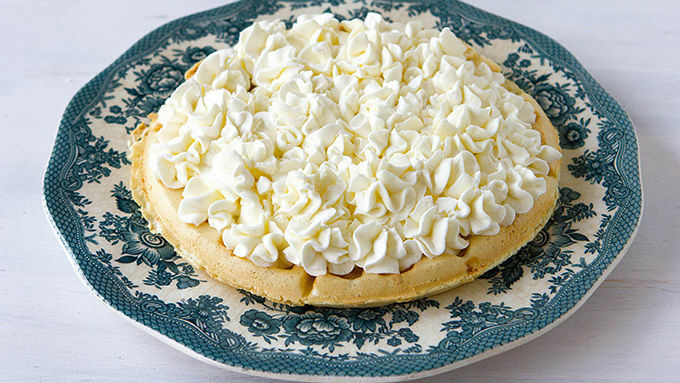 It’s time to slice, share, and settle into waffle wonderment. Go do this!